THOUGHT-PROVOKING IF NOTHING ELSE. But seemingly based on a false presumption. The story about Cecil the lion was animal rights propaganda designed to stir uninformed public emotions. The story was simply NOT true. Cecil-the-lion had been a dominant male living in a pride of lions in Zimbabwe’s Hwange National Park. He had been dominant for several years – and he became well-known to the public in that position – but ultimately the time came for him to be deposed. He was ousted by a stronger younger male when Cecil was 13 years old (which was inevitable – because it happens to all dominant males in time). Cecil then had to find a new place to live; and new way of living. He became a rejected “old Nomad”. In that position he was pushed about by every male lion in the Hwange Lion population – AND by the packs of spotted hyenas – who all chased him away because he was a threat to other male lions and hyena packs, and a serious competitor to them both. This is all normal. 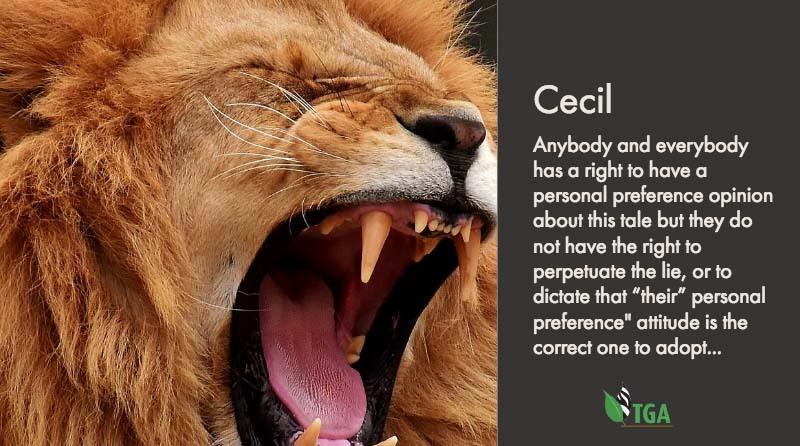 Cecil’s problem was that he needed to find a new home-range where there were no adult lions that could harass him; and where there were enough prey animals for him to catch and eat. As happens in all these circumstances, Cecil gravitated to the edge of the national park where he began to find a niche on private land outside the national parks. I know Hwange well. I used to be the Provincial Game Warden-in-charge of that national park – and since 1960, I have shot many domestic-stock-killing nomadic lions that pitched up on the private farms outside the park boundaries. If Cecil had resisted being pushed out of the park – and onto private land – the big dominant male lions inside the park would have killed him. He had become, therefore, “surplus” to the lion population inside the national park. He was not enticed out of the park by a drag-bait. He didn’t have to be. Just by laying a carcass on the ground – or tying it to a tree branch (to place it out of reach of the hyenas) was good enough to attract Cecil to his death. The hunters papers were in order (a fact that was admitted by the Zimbabwe Minister of the Environment); he was killed legally; and although there were, apparently, certain “irregularities” the hunt was legal, approved, and carried out in the acceptable manner. The furore, therefore, was all manufactured by the propagandists – and the public made sure that the “lie” caused maximum attention. So, using the Cecil example to emphasis your point is probably not a good omen. The (above) Cecil Story was corroborated by the Oxford University WILDCRU scientists who collared Cecil – plus some 60 odd other lions in the general area too. Anybody and everybody has a right to have a personal preference opinion about this tale but they do not have the right to perpetuate the lie, or to dictate that “their” personal preference” attitude is the correct one to adopt. Lions do live in social groups – for a time – until the age of about 22/24 months of age./ As youngsters they live in cohesive prides – but not always without death. Big lions are “killing machines” and they often kill younger lions for very little reason (and they eat them). And when a dominant male is deposed the new leader (apparently) kills the young animals in the pride (but not always!) By the time they are two years old, however, the young lions are evicted from their parental prides and from then on, until they are big adults (at 5, 6 or 7 years old) they live away from the adult pride. They then become young nomads – living alone or in small groups – and they are massively preyed upon by adult lions and hyenas. Indeed, the majority of young lions between the age of two and six years are killed before they reach six. And only a very few live to the age where they depose a dominant male and take over his pride. Death – throughout that maturing 3 to 6 years old period of their lives – is a constant companion. So your lovely concept of lions living in a happy “social group” is somewhat misplaced. The people who know how best to look after lions in captivity are the lion farmers themselves. So, if you have no personal experience in this field, I would suggest that you listen to what the lion farmer’s recommend. 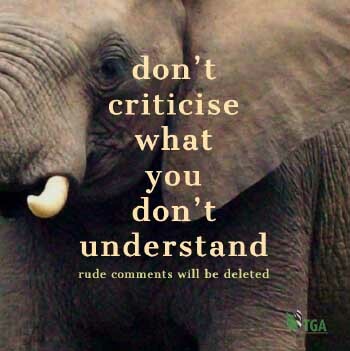 What you are repeating, in this regard, is animal rights rhetoric (propaganda) and that is simple NOT to be believed.